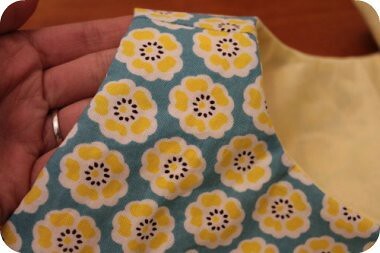 Last month I attended a beginners sewing class at the craft room in Sydney. It was perfect for me because they went right through the basics, even showing you how to thread a machine, cut out patterns, etc. I walked out of the class having finished a little skirt for Sophie and feeling very proud of myself. Since then I have been hooked. I now spend as much time as I can behind my sewing machine or cutting out patterns or in a fabric store. And I love the thrill I get every time I finish a new project. 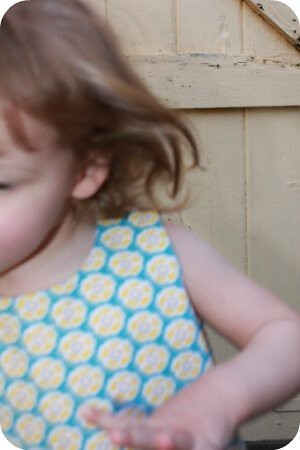 Yesterday I finished a few projects I had been working on, including this little pinafore dress for Sophie. Now, if only I could get her to stay still long enough to take a photo..
it looks beautiful - and sooo neat around the facing!